Any length up to 18"
These chains have smaller links and are very dainty. They are flirty and feminine. This necklace is ready to wear! This listing is for one 18" chain. Select either the Dainty Box, Dainty Ornate^ or Medium Box Link Chain during checkout. Description Labels are found in the photos. The oval links are approximately 2mm and are silver plated. The closure is a Lobster clasp. You can request any custom length up to 18". If you choose 'custom' during checkout, please include your preferred length during your checkout notes. Bright copper 'ornate' chain may be available (not pictured). 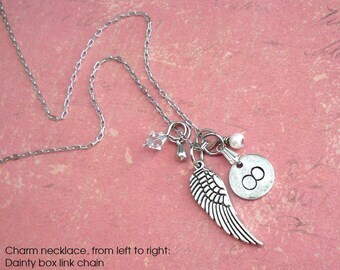 It is similar to the silver Dainty Ornate chain pictured. Send a request to Tipsy Whimsey to see if it is in stock. 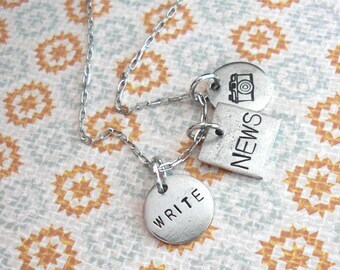 Antiqued metals such as brass or gunmetal may be available, just send a message to Tipsy Whimsey to inquire. Inventory on specialty chains will fluctuate. The Dainty Box links have an antiqued patina. The tarnish-resistant silver is similar to nickel in color. They match up very nicely with the antiqued silver charms that I offer. Medium Box link is recommended for larger sized charms (such as the Grande variety) or large groups of bigger charms (4 or more, bigger than the Mini size). ^Special note regarding Dainty Ornate chain: the antique color varies. It may be darker than the photos; it may look closer to pewter in color (see the "new supply" photo). It is still very attractive, but it may be darker than pictured. Send a message to ask if you want to know ahead of time. 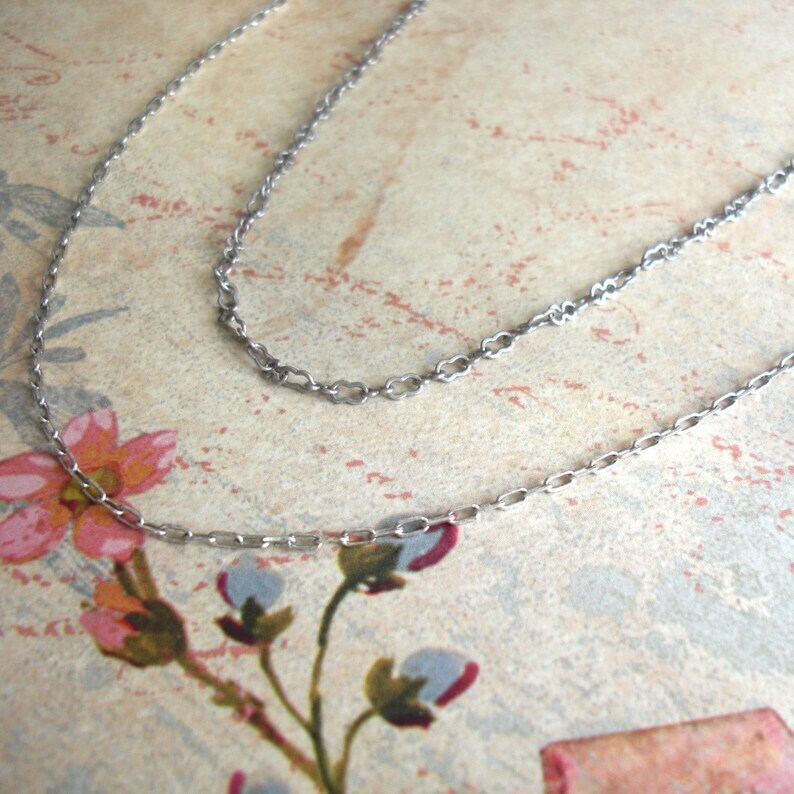 Bright shiny silver Dainty Ornate chain is also available. During checkout, click on "continue shopping" and you can add more items from my shop. Remember, if you have items from multiple shops in your cart at checkout, you will have to pay each shop separately. Contact me if you need more! UPGRADE ONLY. Dainty 18" inch Necklace .. Dainty Box Links or Dainty Ornate Links Chain .. Silver Tone Necklace with Lobster Clasp..